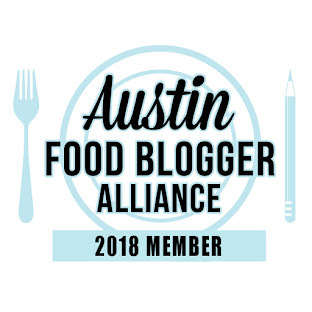 South Austin Foodie: A day of mostly good eats! 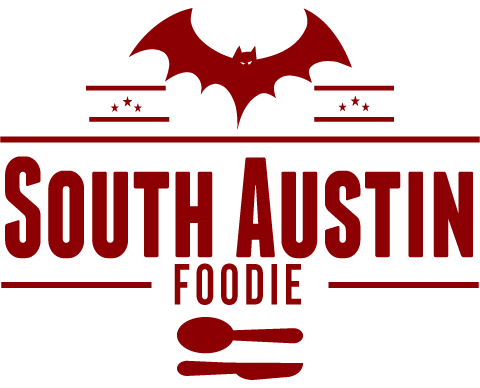 A day of mostly good eats! On Monday, I had lunch with a friend at the new Mighty Fine Burgers on Brodie Lane in Sunset Valley. Owned by the people who own Rudy's BBQ, they are more or less a local chain. They pride themselves on using all-natural beef and other all-natural ingredients. The burger was good, but I really thought the cut on-site crinkle cut fries were fantastic. Good and crispy, and not greasy. The chocolate shake was thick and rich. When we arrived about 11:15am, there were 20 people working behind the counter, and rows of red tables waiting for people to sit and eat, as there were only a handful when we walked in. By the time we left, it was almost full in there. Oh, and I have to add, the women's restroom seems totally high-brow for a burger joint! Cut-crystal chandelier, nice cabinet around the sinks....just seems a touch out of place. Wonder what the men's room is like? For happy hour, I met another friend at the recently opened House Wine, just behind the original P. Terry's Burger on S. Lamar. It's an old bungalow house that's been smartly converted to a wine bar. There's a nice front porch and big patio area, 3 or 4 rooms inside, and a small parking lot out back. The furniture is comfortable (at least where I was sitting), and there's funky local artwork all throughout. We split a bottle of wine and got the cheese plate. You get your pick of 2 cheeses (5 total to pick from, pretty much your standards), and it comes with assorted crackers, Tuscan olive cheese spread, and pistachios. 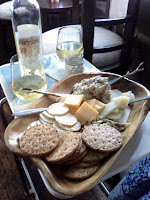 It was a nice assortment for snacking, and a great atmosphere for catching up with a good friend. I'd certainly go back! So after staring at the drive through for P. Terry's while sitting in the front room at House Wine, I knew that my cheese and crackers were not going to suffice as dinner. If I hadn't had a burger already for lunch, P. Terry's would have been the obvious choice. However....so I wandered down S. Lamar to Pie Slice, where before I had only had pie, and how heavenly was that! This time I ordered a pizza pie to go - the blue cheese with chicken. I didn't peek at it until I got home, and it looked gorgeous! The crust was great -- very thin and crisp, and there was a TON of cheese. I mean a lot! But see how in the picture there's a greenish cast to it? Not quite what I expected from Maytag blue. Their menu says they blend blue, shallots, and jalapenos. Unfortunately, I couldn't really taste the blue at all. It was creamy, but something almost like a very mild BBQ sauce. I can't quite place the flavor, but it wasn't blue cheese, and it wasn't really jalapeno-y either. I would try one of their other pizzas, but I don't know that I would order this one again. It was a great deal, I think, for a handmade pizza, probably 12", with lots of cheese and diced chicken for $9.95. I did also get a croissant that I ate for breakfast the next morning. Once heated in the toaster oven -- yum! Wonderfully flaky and buttery.